Why? there are 2 important properties, but the physics and game mechanic prevents to implement this properties in one configuration. 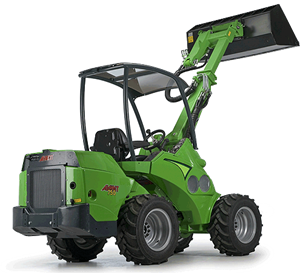 All front-attachments can configurate as STATIC or FLOAT. Pros of the FLOAT configuration: Attachments can lower like a 3-point. So the tools can perfectly follow the ground. - Shovels - Clean pickup from the ground, in rough terrain too. Last edited by ImpTS on Thu Jan 25, 2018 11:51 pm, edited 1 time in total. The actual package contains only the Klitsi. This loader is not really strong enough to handle bales. The next release should come end of the next week and contains the bigger Flitsi with the basic tools. Yes all Skidsteer-tools can plug. But most of them to big or to heavy. I think the most interesting Skidsteer tool is at moment the Stumpcutter. I think the most interesting 3-Point tool is at moment the TajFun Winch of the contest. It's a very nice mod, but I think it needs as it says on you'r website, a small trailer for it, maybe a small grass trailer and a small tool trailer and a forest trailer. It needs a transport trailer for cars aswell. Love the way with the float stuff, really works well. I think it also needs a cab version with door and window, openable of course and maybe a retro version, the cab looks a bit to modern perhaps, it's just an idea of course. Color selecable chair would be very nice to, it's just personal preferences. Avant is one of the 2 relevant real manufacturer of multiloaders. The other is Multi-One. And I work on a solution for problems with the drive physic. The main problem is not the physic itself, the main problem are the much different controller typs and mods they change the physics like drive control or more realistic. Thanks for your 5 stars I can need that. I know there are some mods with car trailers, but most of them only for PC and not in the ModHUB. Let us see what happens next. There is no need of 10 new big trailers. Let us hope that other modder helps to increase the count of usefull tools for little farmers and newcomer. I've had a little play with this and I do like it. I went right in for the high power version but found the acceleration and braking was a bit dramatic. I then bought a standard engine power version and that drove better. I will be getting your updates as and when they pop up. I've been after a small mini loader for quite sometime so I'm very happy! Good news. I found a way to optimize the drive physics. And it is implement in my next version. I think there is no way to create one motor configuration for pedal and keyboard drivers. So for every Speed-version you can choose between pedal or keyboard. Really like, but for the Xbox could you make it so that the which if you make one it can work on Xbox. I thought it would look cool having four of these mowers going up and down the field, to my surprise you CAN'T hire workers, WHY?? The amount of detail, imagination and engineering that went into this mod is outstanding, that's why I can't understand why there's no A.I. to hire or use. Up until now I never thought to use the A.I. until the open mower (Cutter Bar 1600) was given to us. Thank you for the mod itself. Honestly, until I read this, I thought the ITSI loader was entirely imaginary. You have done an amazing amount of work and it looks great.